Corner post for glass balustrade - available for interior or exterior Use. Available in 42.4mm diameter tube. Available in 48.3mm diameter tube. 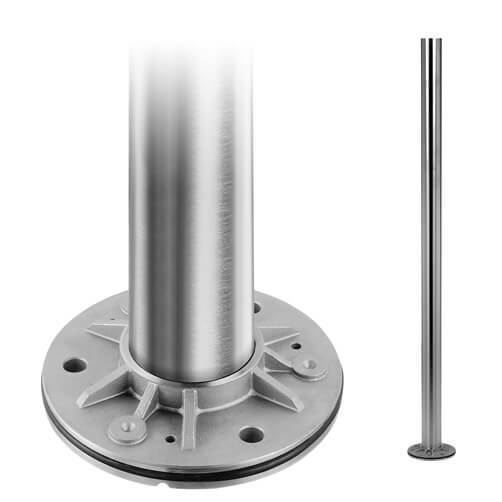 Pre-drilled, strong stainless steel balustrade corner posts that are quick and easy to assemble. 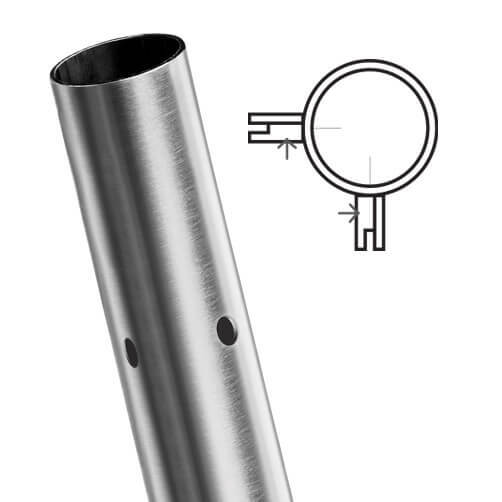 Choose from either 316 (exterior) or 304 (interior) grade stainless steel and from 42.4mm or 48.3mm diameter tube. 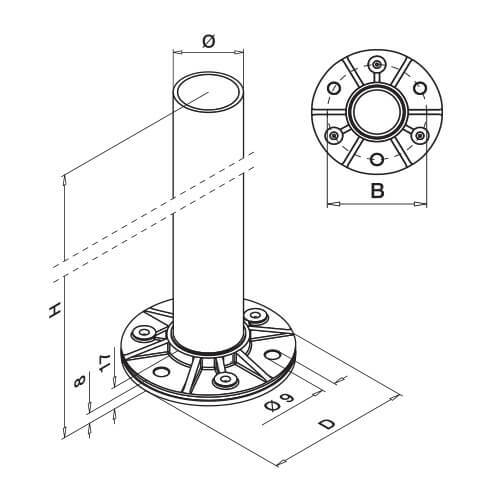 All banister tubes have a wall thickness of 2.6mm. Post Base Cover Caps for the perfect finishing touch to your balustrade post. 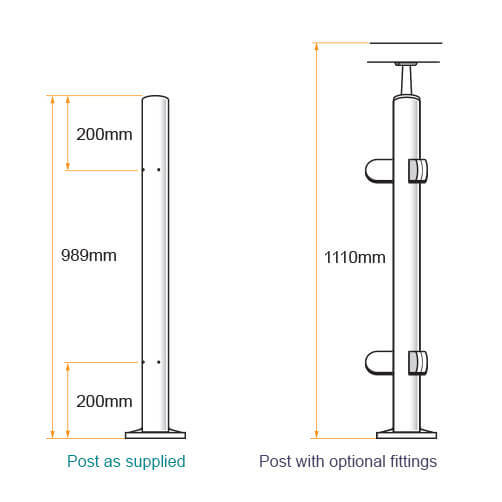 Tube End Cap, simply insert into the top of your post for a clean finish. Handrail Saddles with options to support tubular or flat handrail. Adjustable Handrail Saddles ideal for handrail on stairways and inclines.